Now you don’t have to worry about flashing a custom ROM with CyangogenMod versions. Your rooted Android phone is enough to customize it with latest features. Xposed Framework exactly lets you do that without any hassle of flashing a custom ROM. Xposed Framework is developed by XDA developer called rovo89. How does Xposed Framework work? Xposed Framework has different modules with which you can make system level changes to customize your phone. You can download different modules and test their different features. Just like you install apps from the Google Play Store. For Android OS versions from 4.0.3 to 4.4, its a different method and for the later ones its another method. One can not install it in version lower than 4.0.3. 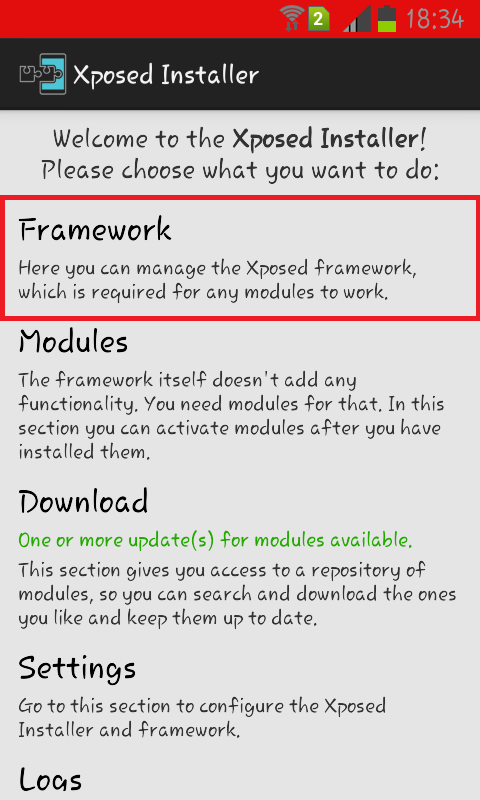 In this post, we will see how to install Xposed Framework for versions 4.0.3 to 4.4. i.e. for Android Ice Cream Sandwich to upto Jelly Bean versions. Before proceeding further, take a backup of your ROM using any custom recovery options like CWM or TWRP. 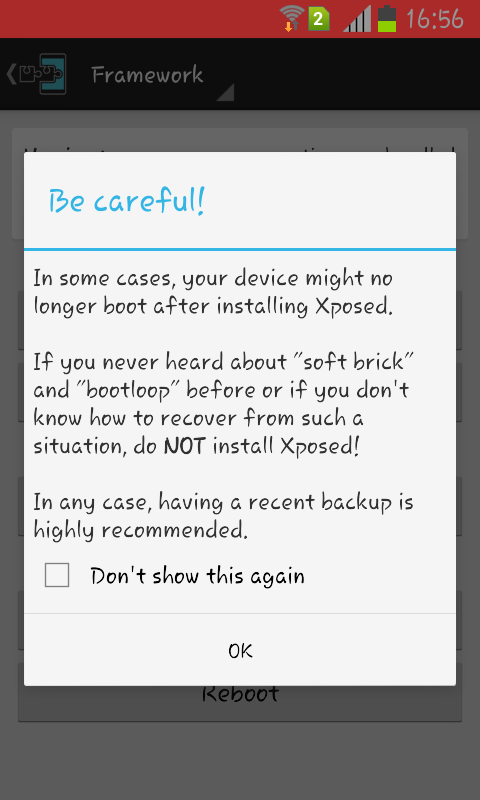 This is important because some devices might go into bootloop after installing Xposed which will in turn not allow it to boot. So its better to take a backup of ROM. Disclaimer: We will not be responsible if you mess with it. Step 1: Visit Xposed Installer website from here. 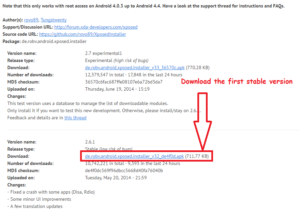 Step 2: Find apk file for Android OS versions 4.0.3 to 4.4. The first version is always an experimental. So choose the second one to avoid the risk of bugs. 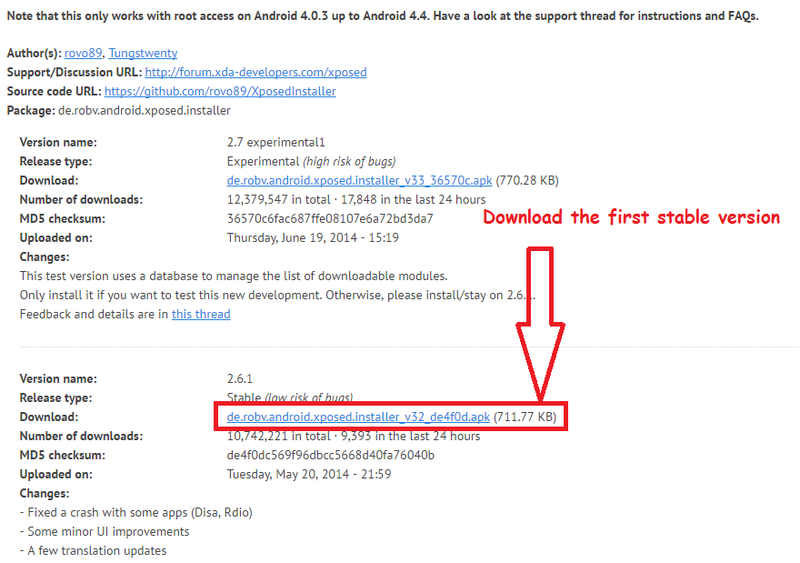 Step 3: Download the apk file to your Android phone and install it using package installer. Allow unknown sources from the security settings. Step 4: Open Xposed Installer and click on Framework. Step 5: Click on OK when prompted with this warning. Step 6: Click on install/update button. Step 7: Grant the root permission. Step 8: Reboot your phone. On rebooting, you will see that Xposed Framework has now active versions installed. So its now ready to download various modules from the repository. One should not try Xposed modules that they are not aware of because these modules make system changes and newbies can mess with it. However, its easy to uninstall any module. Just like you uninstall any app from your phone. Upon uninstalling, it brings the phone to the same condition. So there is not much to worry about. There are some famous modules like GravityBox, WhatsAppX etc. which you can try to know how it functions. How to download Modules in Xposed Framework? 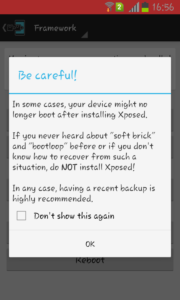 Step 1: Go to download section from the Xposed Installer. Step 2: Search for Module using the search bar. Step 3: Download latest stable version and install it. If there is any security warnings then allow unknown sources from the security settings. Step 4: Click on DONE when it finishes installing. Do not open the module as yet. Step 5: Go to modules and check mark the box beside the module. Some modules may ask for root permissions. So you can grant them when asked. Step 6: Go to Framework and reboot your phone. Once your phone is restarted, you can go ahead and try the module.